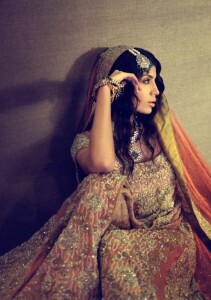 Latest Bridal wear 2012 designs by Sana Safinaz. A grand label of fashion! and specialy famous for bridal couture. 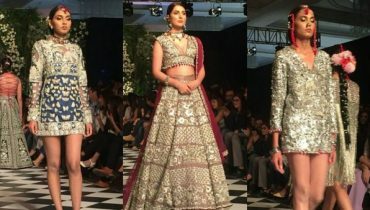 Their latest collection of wedding wear for girls is a fusion of traditional looks with modern touch.. Long shirts and gowns with Lehngas are prominent in this bridal wear 2012. And heavy work on gowns and lehngas is looking awesome. Red, Gold & pinkish shades are In in this collection and overall also Red & pink colors are In for Barat function and Gold color for walima function now a days. Dark colors are contrasted beautifully with Golden and silver shades which are giving elegant look. 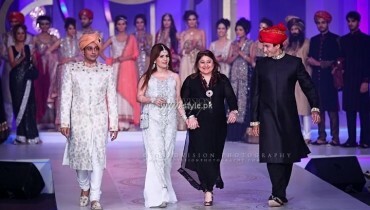 Here is preview for you of bridal collection 2012..!